It can also help to correct facial symmetry and reshape features without surgery in the forehead, around the eyes and mouth and in the neck. For example, Botox can help to raise an eyebrow or prevent your mouth turning down at the corners by paralysing the muscles that drag features down. 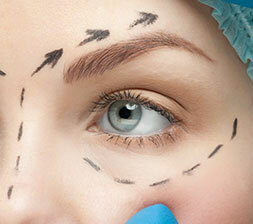 It is often used in conjunction with an eyelid lift (blepharoplasty) or fillers. Involuntary blinking of the eye (blepharospasm), repetitive twitching of the muscles on one side of the face (hemifacial spasm) and related facial spasms (facial dystonias). Botox is injected into a muscle with a fine needle, causing a temporary paralysis that allows lines to soften. 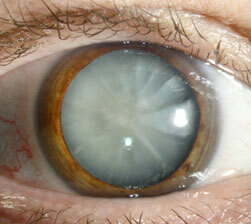 Effects are usually seen between three and five days and last for approximately six months. Repeated injections lead to a gradual weakening of the muscles. Cooling with ice packs helps reduce any discomfort. Side effects are uncommon — you may feel a mild burning sensation with the injection or experience some tingling for up to two or three days after treatment. There may be some mild redness of the skin — this usually lasts only one or two hours. Rarely, there may be weakness of nearby muscles if Botox spreads unexpectedly. If treatment is being given for medical reasons to the deep areas of the eyelid, there may be temporary double-vision if the Botox spreads unexpectedly. The lateral brow peaking. This is comparatively common and is essentially an overactive frontalis muscle pulling the lateral eyebrow too high. The cure is to place a tiny amount of botox at the apex of the peak. A lower resting eyebrow position. This can occur when the forehead is treated to eliminate horizontal forehead lines. As the frontalis muscle is no longer pulling the eyebrows upwards they slip down into their resting position. 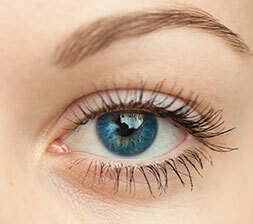 There is a risk that this resting position is considered too low, making the upper eyelid more hooded. This risk increases with age. This risk can be minimised by reducing the Botox dose delivered to the forehead, and making sure the muscles that pull the eyebrows down are fully treated. If this eyebrow drop occurs there is unfortunately no quick fix. The Botox to the forehead will wear off and the frontalis will start to pull the eyebrows upwards again in a few weeks. The key is to use less Botox to the forehead in the future, but there is therefore an inevitable trade off between a smooth forehead with lower eyebrow, and a higher eyebrow but with more horizontal forehead lines. Mickey mouse smile. This occurs when the Botox at the crows feet area prevents the orbicularis muscle tightening when you smile. The deeper smile muscle that lifts the corner of your mouth then lifts your cheek against a smoother lateral eye area, generating a single deeper “mickey mouse” crease. There is no quick fix for this. The appearance will improve as the Botox wears off and the key is to use less Botox to the lower parts of the crows feet in the future.